Do you ever have one of those meals that you start with years ago and then you kind of just keep adapting it as you go along? That's what this recipe is for me. When I first posted about it years ago here it tasted great, but over time I made a few swaps that I think changed the recipe for the better. Taste for yourself, but I love this creamy, newer version of a classic stroganoff dish. 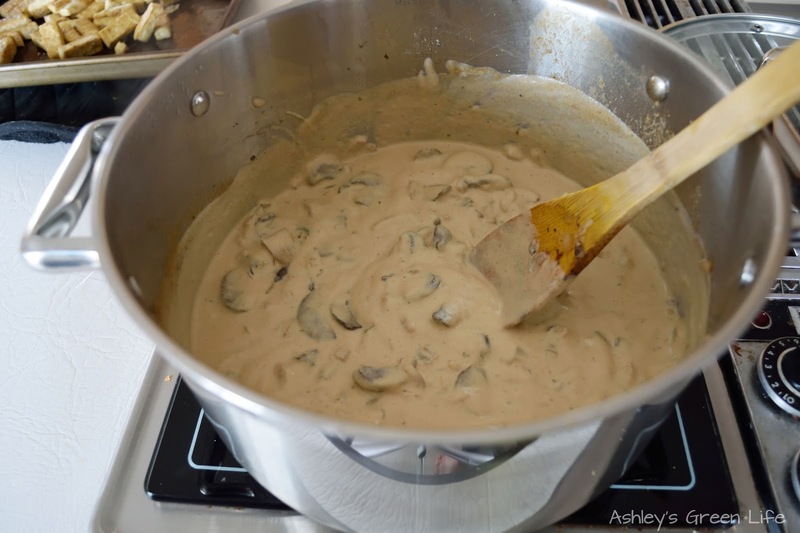 The main substitution I made was to switch from using a store-bought vegan sour cream, to a homemade one made from cashews. 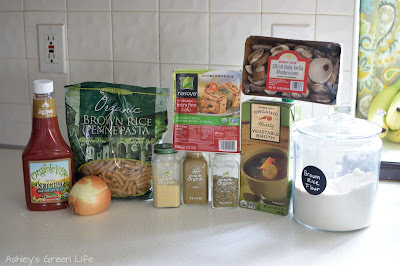 I did this after I started avoiding carraggeenan thanks to Food Babe, and I was unable to find a vegan replacement without it. But luckily a homemade cashew-based sour cream recipe saved the day and I think makes the recipe taste better than before. Give it a try yourself! Preheat oven to 375 degrees. You'll need a baking sheet or pan for the tofu, mine is 9 x 13". 1. Soak 1 cup of raw, unsalted cashews in water for 6-8 hours, or at least 2.
and 1/4 teaspoon of salt. 3. 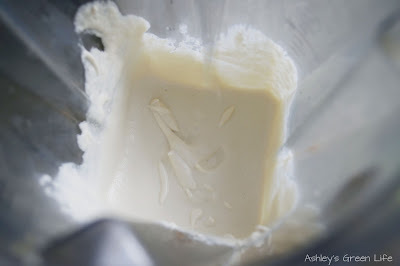 Blend for about a minute until completely smooth. 4. Then place in a covered container in the fridge until needed in the recipe. It will thicken up then. 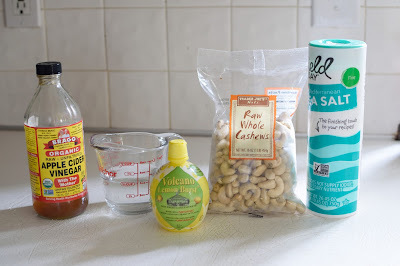 Rewind back to the morning when you set out your cashews to soak, you'll also want to prep your tofu. I place mine in my TofuXpress press to get the water out while I'm gone at work. You'll at least want to press it for an hour or two. 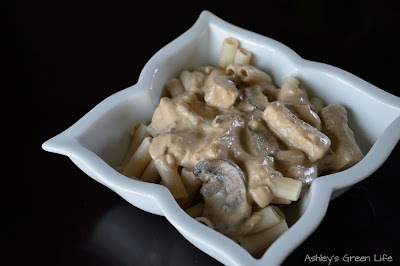 Now fast forward again to when you're ready to make the stroganoff, and it's time to start with the noodles. 1. In a big stock pot, boil some water for the noodles. Once boiling, add the noodles and cook until they reach a desired softness. 2. Drain the noodles and allow them to cool. it in with your hands. lightly dip the tofu in before placing on the pan. 6. Place tofu on a baking sheet or pan, I used a 9 x 13 pan. Place in the oven at 375 degrees for 30 minutes. Place the tofu back in the oven for another 15 minutes. Now that the sour cream, noodles and tofu are all set, let's get started on the veggies. or as little of pieces as you like. oil if needed. Saute them for about 5-6 minutes. 5. Next bring this mixture to a boil and then reduce to a simmer. 6. Then cover it with a lid and cook for 20 minutes. vegetable broth and whisk together. Then add this to the pot and stir. 9. Now stir in the tofu. re-heat them again if you needed, but mine are usually fine. 11. To serve, scoop some noodles into a bowl. Now add the tofu/mushroom stroganoff sauce and enjoy! 2. 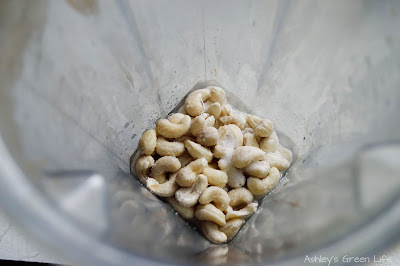 Then rinse the cashews, pour them in the blender and add the 1/2 cup of water, 2 Tablespoons of lemon juice, 1 teaspoon of apple cider vinegar, and 1/4 teaspoon of salt. 4. 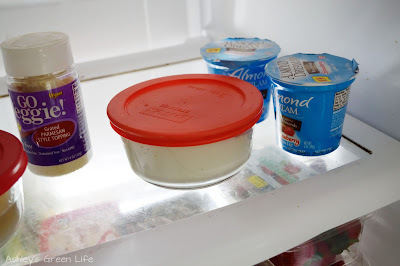 Then place in a covered container in the fridge until needed in the recipe so it can thicken up. 5. Rewind back to the morning when you set out your cashews to soak, you'll also want to prep your tofu. I place mine in my TofuXpress press to get the water out while I'm gone at work. You'll at least want to press it for an hour or two. 6. 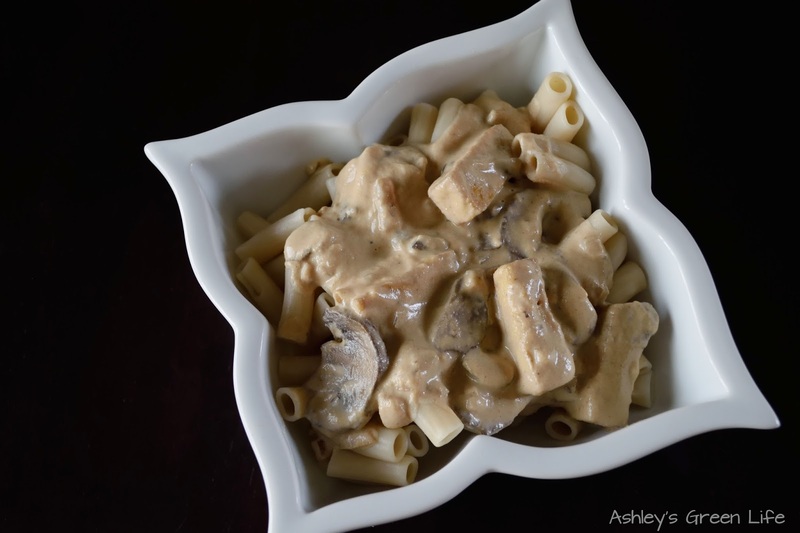 Now fast forward again to when you're ready to make the stroganoff, and it's time to start with the noodles. In a big stock pot, boil some water for the noodles. Once boiling, add the noodles and cook until they reach a desired softness. Then drain the noodles and allow them to cool. 7. Now remove tofu from press or drain water from it as best you can. To chop it, I like cut it into wide rectangles first. Then take each rectangle and cut it into about 4-5 small rectangle chunks. 8. Next sprinkle 1-2 tsp. of cumin onto the tofu and rub it in with your hands. 9. In a small bowl or container add about 1-2 Tbs. of oil and lightly dip the tofu in before placing on the pan. Then place in the oven at 375 degrees for 30 minutes. 10. Remove the tofu after 15 minutes, and with a fork, "shuffle" the tofu around. Place the tofu back in the oven for another 15 minutes. 11. Now let's get started on the veggies. Start by chopping the onion into small pieces. 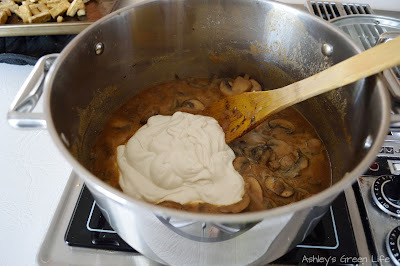 And chop the entire package of mushrooms into as big or as little of pieces as you like. 12. In the same stock pot you used for the noodles, turn the heat to Medium-High and add the onions and mushrooms. You can add some oil if needed. Saute them for about 5-6 minutes. 13. Now add the ketchup, Braggs, and mustard powder. Followed by 1 cup of the vegetable broth. 14. Next bring this mixture to a boil and then reduce to a simmer. Then cover it with a lid and cook for 20 minutes. 15. 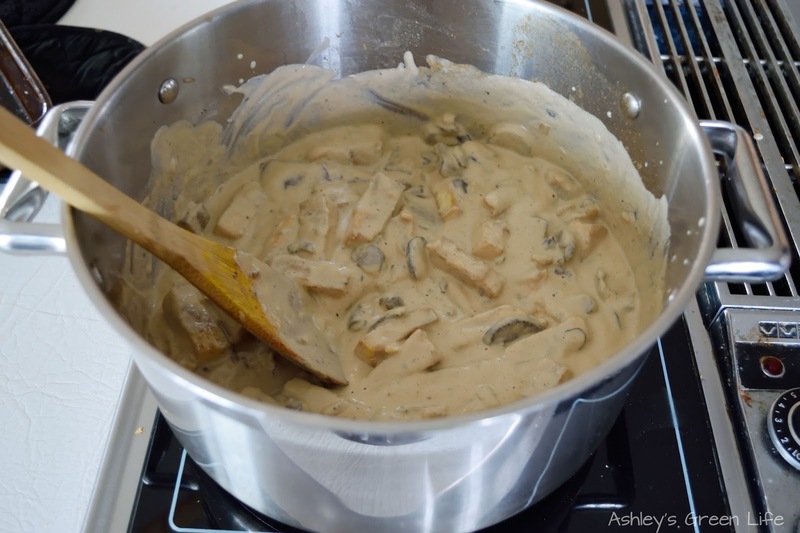 After the mushroom/onion mixture has simmered for 20 minutes, combine 2 Tbs. 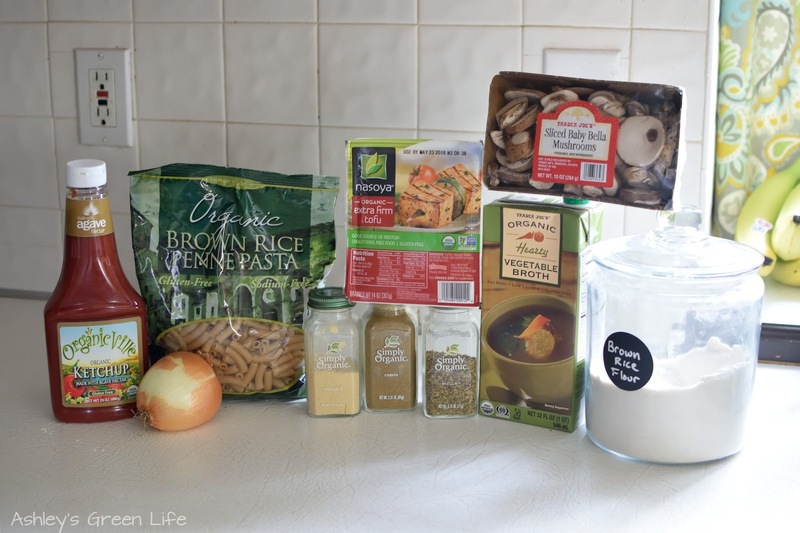 brown rice flour with 1/4 cup vegetable broth and whisk together. Then add this to the pot and stir. Followed by the batch of sour cream we made...or if you're using store-bought, use 1 cup. 16. Stir to combine and remove from the heat so it can cool. This will help it thicken up a bit. 17. Now stir in the tofu. 18. 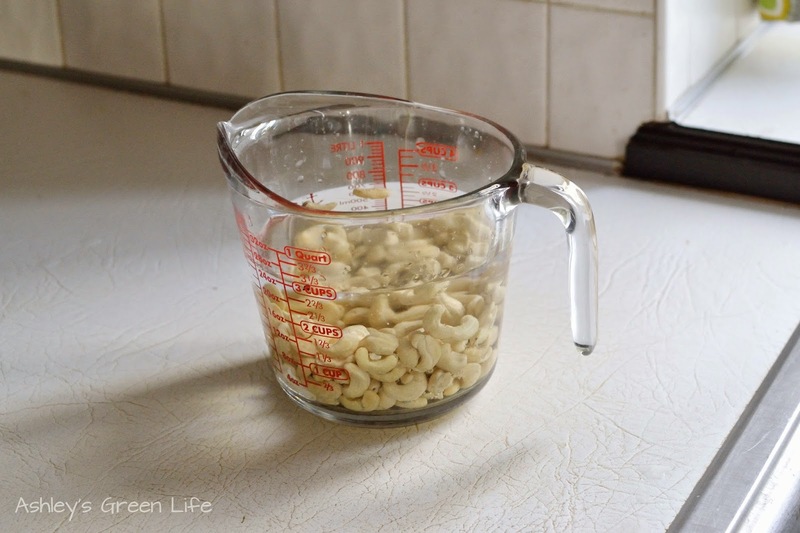 To serve, scoop some noodles into a bowl. 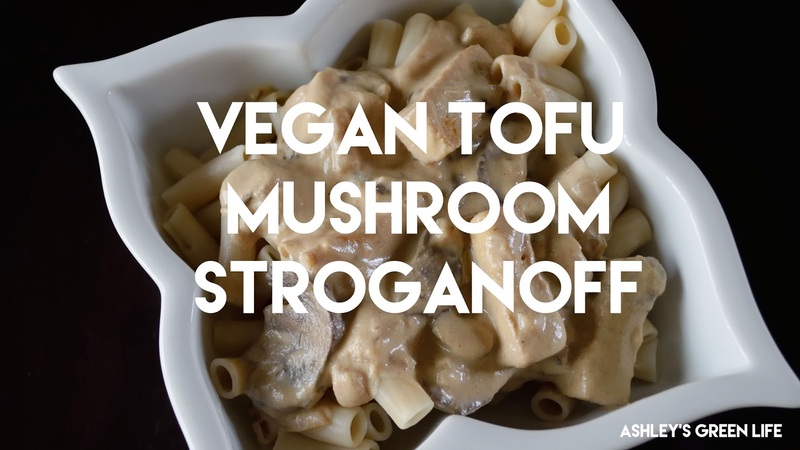 Now add the tofu/mushroom stroganoff sauce and enjoy! So there you have it, Tofu Mushroom Stroganoff. Although it's quite a bit of steps, it's worth the work it takes to make it. That creamy mushroom flavor just can't be beat. If you try this recipe, post below or tag me on Instagram @ashleysgreenlife. See you next week greenies!